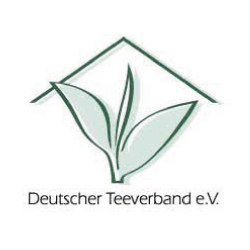 The task of the association is to safeguard and promote its interests relating to the import, manufacture, packaging and/or marketing of tea in Germany. Following an agency pitch, the German Tea Association (Teeverband) commissioned ipr to devise and implement a strategy to attract a younger audience to tea. In order to target an audience between 15-25 years of age, ipr created the multi-level national campaign „tea-up-your-life“, introducing www.tea-up-your-life.de, a lifestyle website providing information on tea, recipes and the campaign´s activities. National „tea-up-your-day“ contests involved a school film competition with more than 400 participating school classes. Strategic media cooperations, intensive press work and the ipr-edited in-house magazine „tea-up-your-life“ added to the campaigns´ multi-level portfolio. 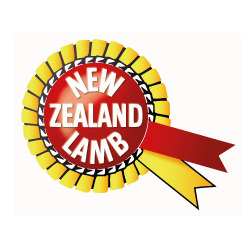 With its mild taste and consistent quality, lamb from New Zealand has become the premium market leader in Germany. With its mild taste and consistent quality, lamb from New Zealand has become the premium market leader in Germany. After a successful pitch, Beef & Lamb New Zealand contracted ipr as German press and promotion office. Core task was to create a campaign to accelerate the use of New Zealand Lamb on both gastronomy and endconsumer level, introducing NZL health and natural environmental aspects combined with the ease of use. Australian Macadamia were the first to be introduced to Germany and with stringent quality control throughout the production and transport they are regarded as the queen of nuts. With growing competition Horticulture Australia were seeking to safeguard their position as market leader for Macadamias in Germany. Employed as German press and promotion office ipr devised a strategy that targeted food press and PoS tastings at key b2b retailers. The core messages were centred around around health/nutritional aspects of Macadamias encorporating strong Australian images and alternative uses, such as baking and cooking. Educational campaigns featuring recipe creations, food journalist cooking events and consumer competitions informed about new ways of using Australian Macadamias. The German Fish Association introduced the FIZ to help consumers make the right decision when buying fish. The Fish Information Center (FIZ) contracted ipr to develop a FIZ app for mobile devices that uses existing data. ipr developed an easy-to-use app that offers valuable background information to the endconsumer when shopping fish.